Choosing a charity to donate hard earned money to is not a particularly easy task. Every year the trustees of the Ten-Percent Foundation sit down to work out how to distribute our funds to worthy causes. The Ten-Percent Foundation is a charitable trust linked to Ten-Percent Legal Recruitment. Every year the company donates 10% of its profits to charity via the Foundation. There are two trustees and we determine how to spend the money, which is usually aimed at charities in the UK and Africa together with locally based sports organisations. This article would be of interest to all those people who feel strongly about donating money to charity that actually makes a difference. It sets out the decisions made by the charity’s trustees on a number of causes and how we came to make those decisions. We wrote an article last year detailing the top paid staff at charities and it is one of our most popular and commented on articles on the Legal Recruitment Blog. NB: none of charities in the article have specifically asked for funding from the Ten-Percent Foundation, although War Child was nominated to receive a donation by one of our candidates. We asked each charity for information on how they determine senior pay. War Child responded but the others failed to do so. Although one of the two trustees of the Ten-Percent Foundation is a vicar in the Church of England, we do not donate to charities that have a religious purpose to them. In fact we specifically shy away from them. We donate to charities linked to churches and religious organisations, mainly because they are very often responsible for running really good and worthy causes. There is a way of ensuring that the donation goes towards non-religious services or items, and that is to make a restricted donation. For example, we will donate to at least three charities linked to the Church of England and the Catholic Church, but all of these donations will be restricted and a specification made as to what the donation can be used for. For example one of the donations will be restricted solely to the maintenance of kitchen, laundry and washroom facilities for a charity linked to the Catholic Church but providing a very well regarded service to the homeless in South West London. We have lumped these two criteria together because this is the main part of this article and the two are interlinked. There are four specific examples of charities we have been thinking about donating to this year and tried to explain our reasoning for not donating. We have included extracts from the charity accounts, taken from the Charity Commission’s website. Most of these are 2014 accounts. The first is the Parkinson’s Disease Society. Parkinson’s Disease is a horrible debilitating illness that at the moment has no cure. A former trustee of the charity suffers from the disease, and in the past we have donated to the Society. When we consider a charity now we look at the annual accounts to see what has been happening. Parkinsons UK (as the society is now known) had income of just over £22.5 million in 2014. Legacies account for £11 million and donations & memberships make up £8.2 million. Total costs generating funds were £6.2 million, making a total of £16.28 million available for charitable application. So in effect just over 75% of the donations made to Parkinsons UK are eaten up in costs. The charity spends just under £13 million on employee costs including pensions. There are 337 staff at the charity. Just 13 of these are involved in research, which was a surprise to us. Four of the staff at the charity earned £70,000-£80,000 salaries in 2014, two earnt £80,000 to £90,000 and one earnt £110,000 to £120,000. Pension contributions on these staff in 2014 were £53,100. This means that out of total income of £22.5 million, which remember includes £8.2 million of donations and membership, the charity is paying out just over £600,000 to just 7 members of staff. This equates to 7% of the donations being made to the charity. 13 trustees of the charity claimed travel and subsistence expenses at a cost of £20,940. It is not clear from the accounts how many times in a year the trustees meet. Our Decision: we will not donate to Parkinsons UK as we do not think the charity passes criteria 3 and 4. The salaries being paid are way above anything we would expect to see and the charity appears to spend the vast majority of donations on remunerating its staff. Furthermore the trustees appear to have claimed quite a considerable amount in travel and subsistence. Naturally whether or not this is excessive depends on how many meetings they have been required to attend in a year. We asked Parkinsons UK for information on how they reach a decision on pay structures for senior executive staff. We received no reply. We also like donating to charities with a legal connection. This year we considered (amongst others) Amnesty International and the Solicitors Benevolent Fund. The aim of the Solicitors Benevolent Fund is to provide relief and assistance for persons in need who are or who have been admitted to the Roll of Solicitors for England and Wales. Relates also to partners of solicitors. Financial assistance is via a grant or a loan. The SBA has a partnership with LawCare, a charity we support, and also two partnerships with an employment agency specialising in CV coaching and an insolvency practice. The employment agency appears to have provided 15 beneficiaries with careers advice and 8 received advice on insolvency. The total income was £1.95 million, with £154,700 of this being donations and subscriptions. The charity appears to have an investment portfolio worth £14.7 million and secured loans to beneficiaries of £4.1 million. Ten trustees of the charity have claimed their travel costs - £6,389. The work undertaken by the charity during the year appears to have been to make arrangements for grants totalling about £600k. We then checked the remuneration of staff information. One employee received a package worth £80,000 to £90,000 in 2014. The charity employed one person to deal with the welfare, one person to deal with fundraising and two administration and management employees. One of these was the chief executive, Tim Martin. His salary in 2014 was £76,875 with additional benefits totalling £9,297 plus a £2,000 bonus. Our decision: We will not donate to the SBA. Our assessment is that they fail on criteria 4 and our reasoning is below. We feel that the Chief Executive is earning a salary considerably higher than just about every employed solicitor in a similar sized solicitors practice in England and Wales with c.5-10 employees. The vast majority of this charity’s income appears to be coming from guaranteed or pretty safe sources – investment income, secured loans and residual balances from client accounts. £154k of donations is not a large amount. In relation to the salary, this is a charity servicing the legal profession, and I would guess that a large chunk of the beneficiaries are from outside the London city firm bubble and hence receive average salaries. 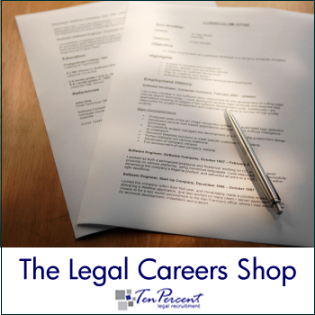 Most high street solicitors with 10+ years experience earn about £40,000-£50,000 throughout their career. At partner level this can admittedly increase, but the partners are in business and take a risk that is rewarded by the commercial return. Charities do not have the same risk, particularly those with investments and/or external funding. The charity appears to be effectively outsourcing work to other parties, eg LawCare. Quite why a charity of this size and with such resources needs to expend such a large proportion of it on one member of staff when most of the work seems to be external is an interesting question. We calculate the salary of the chief executive to be 4.5% of the total income of the charity in 2014 and 57% of donations received during the year. No doubt the SBA does extremely worthy and valuable work within the profession, but we feel that it yet again highlights the endemic problem within the charity sector – where do these salaries come from? How does a charity determine that it should spend so much of its income on its staff? We asked the SBA for information on how they reach a decision on pay structures for senior executive staff. We received no reply. Amnesty is a charity the trustees admire and are keen to support. Most of their income comes from donations, and a significant proportion of these are from individuals. The Amnesty charity is somewhat confusing because it appears to have other branches/charities linked to it with related costs. Employees at the charity cost £1.382 million. Naturally the biggest part of Amnesty’s work requires a considerable amount of staffing, hence the costs. There were the equivalent of 31 full time staff at the charity in 2014. 5 of these staff received income of £352,218 excluding pension contributions, which Amnesty do not publish in their accounts. This means that 26 full staff equivalents were receiving £1.03 million between them, which makes the average wage at Amnesty £39,607.00. No trustees claimed travel costs etc.. in 2014. Our decision: Reluctantly we will not donate to Amnesty International. We find that they fail on criteria 4. Not just one member of staff but five are receiving salaries at a high level. For a charity of this size it is not clear why and how salaries have got to this level. We asked Amnesty International for information on how they reach a decision on pay structures for senior executive staff. We received no reply. We are very keen on supporting projects in Africa and came across a number of charities who seem very worthy of as much support as possible. One of these is War Child. War Child is a very worthy cause. They aim to help thousands of children caught up in war zones around the world. According to their last annual report, they worked in a range of countries including Afghanistan, the Democratic Republic of Congo, Iraq and Jordan. Some of the funding for War Child’s work in Afghanistan seems to come from the US government, which is interesting to say the least! The charity seems very tightly run. The vast majority of their income is derived from donations, together with grants from external organisations. We took a look at their staffing levels. There are 30 employees in the UK plus many more overseas. War Child works with external organisations to deliver their projects as well. However the charity appears to employ two members of staff out of the 30 on salaries of over £80,000, plus pension contributions on top for one of these. When you look at the total cost of salaries, it would appear that 28 members of staff share £975,000 in salaries, which puts the average employee at War Child on a salary of £34,821. The trustees of War Child do not claim any expenses at all. Our decision: not to donate to War Child. We do not believe the charity fits criteria 4. Chief Constable of North Wales: £135,774 (responsible for 2,600 police officers and staff). Hospital Consultant: £75,000 - £101,000 per annum, plus private work/overtime etc..
Chief Fire Officer of Staffordshire: £149,000. Member of Parliament (to 2015): £67,060. Average salary in the UK in 2014: £26,600. It is also interesting how many charities have their headquarters in central London or thereabouts. May be a relocation out of an expensive area and into more regional locations could assist in keeping salaries and administrative costs lower? The National Council for Voluntary Organisations produced a report in 2013 looking into the pay of senior executives at charities in the UK. (Interestingly neither the CAB or the Red Cross reimburse their trustees for any costs). Various lawyers and accountants from larger size commercial practices. By way of example, one of the members of the panel was a partner at Clifford Chance, a Magic Circle solicitors firm in central London who pay partners at least £300k per annum. No effort was made by the panel to indicate when remuneration became unacceptable, irresponsible or in danger of appearing to be completely contrary to the whole purpose of charity in the first place. (extracts from the Summary and Recommendations of the Panel). So the summary of the report basically puts the onus on trustees to determine pay and not any external body. We have included details above on exactly who the members of the panel were because so many originate from the City of London bubble – where salaries in six figures are the norm. 91% of charities have no paid staff at all. However out of 161,000 charities and a £39 billion income, 533 charities received £19 billion of this. Pay for senior executives in some charities seems to be disappearing off the top of the scale of a reasonable level of remuneration bearing in mind that a charity relies on the goodwill of someone else, usually unsuspecting members of the public. 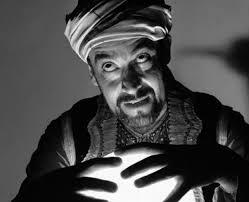 Every year we produce an article for our January Legal Recruitment Newsletter about predictions for the previous year by an expert online psychic, Craig Hamilton-Parker (from www.psychics.co.uk). We have also included his 2016 predictions below to see how he does when we revisit in 2017. In 2014 Mr Hamilton-Parker scored 1 out of 16. Mr Hamilton-Parker charges £1.50 per minute for his services via telephone consultations. 8. 2015 will be a year with a lot of Maritime problems and there could be a very serious disaster – akin to the sinking of the Titanic. (correct in a sense - migrant vessels sank in the Mediterranean in 2015 with large death toll). 11. There will be a bad earthquake during 2015 in Mexico City (correct - sort of - lots of earthquakes hit Mexico City). 13. There will be a celebrity kidnapping and an attack on a member of the Saudi Arabian Royal Family (wrong). 14. The Conservatives will win the UK election by a whisker. Cameron will be ousted just after the election despite his electoral success. (correct and wrong at the same time!). 15. During 2015 Jeb Bush will gain popularity and will win the American Election in 2016. (wrong so far - 29% and dropping). Score: 5 out of 16, although 3 of these relate to common events occurring regularly - eg earthquakes in earthquake zones. Much better than 2014 though..
1. Massive earthquake in Himalayas causes dam to burst. 2. Japanese island sinks beneath the sea – this will be a year with many sudden environmental changes. There will also be a bigger than ever disruption to the ice sheets. 3. Unprecedented rainfall disrupts some of the Summer Olympics in Rio de Janeiro, Brazil. 4. A comet/asteroid is missed by most astronomical observatories and comes close to Earth. 6. Large fire in historic Dutch building sees many masterpieces destroyed. 8. New refugee wave from Ukraine and Georgia as Russia tightens its grip on dissidents. 9. Rise of right-wing politics in Spain, France and Italy sees rioting on streets and mosques burnt. 10. Turkey will invade Kurdish areas of Syria. 11. Massive increase in use of drones in Syria quell ISIS. Britain puts some troops on the ground. 12. New form of nanotechnology used to track terrorists. 13. Commonly used food additive is conclusively proven as a cause of cancer. 14. Prince Phillip is taken seriously ill and has major life and death operation. 15. There is an attempted behind-the-scenes coup in China as Chinese currency collapses. 16. An alleged naked picture of Kim Jong-un causes a political row. 17. Donald Trump’s bid for the Whitehouse if thwarted by illness. The last battle is neck and neck between Jeb Bush and Hillary Clinton. The republicans win after a sudden last minute change of republican candidates. 18. British Labour Party splits in two with one section joining the Liberals. British Labour Party make big gains in Scotland. Mr Hamilton-Parker also talks about World War III starting, although not clear what this relates to - I would have expected World War III to include the end of humanity but there we go.. Perhaps we will not be around next year to find out the results of his predictions?